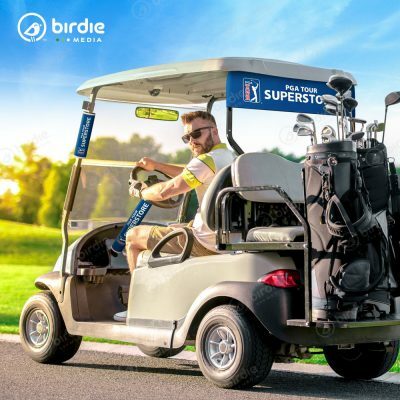 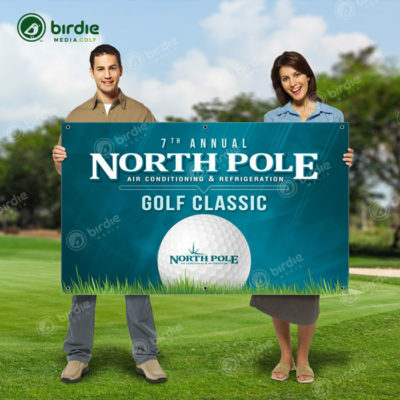 Birdie Media’s golf tee spike signs are simple to set up and are an inexpensive way to mark the tee-off position while promoting a sponsor’s message. 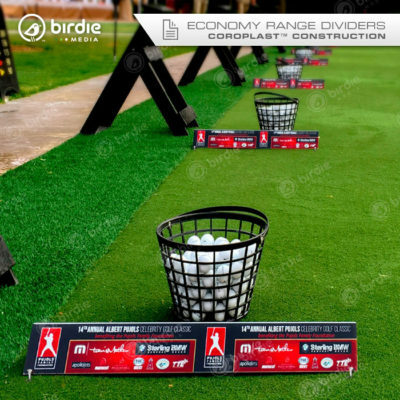 Available in three different sizes, the rigid tee spike golf signs are 1/8 (3mm) Dibond and constructed with two (2) thin aluminum sheets sandwiching a black solid plastic core. 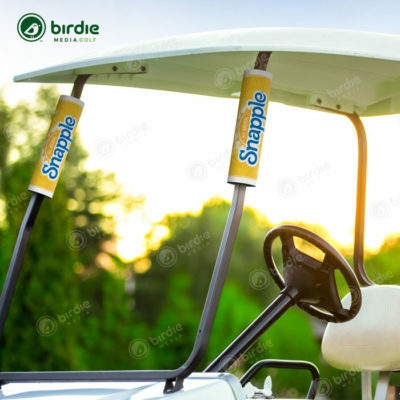 The Dibond material is both rustproof and waterproof making it an excellent choice for outdoor use on the golf course. 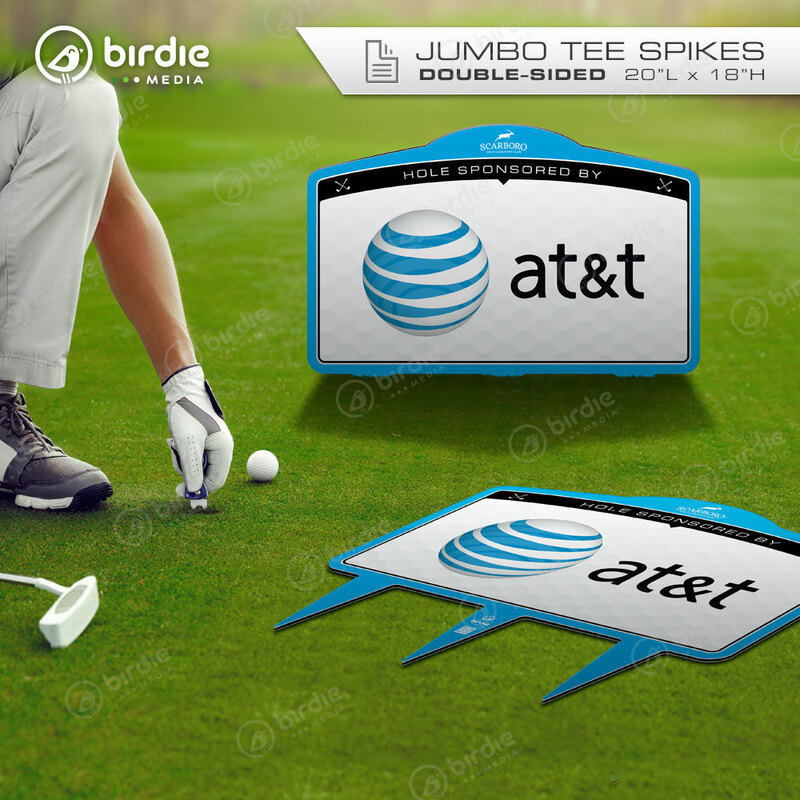 Use tee box spikes on the tee box or to divide the driving range stations. 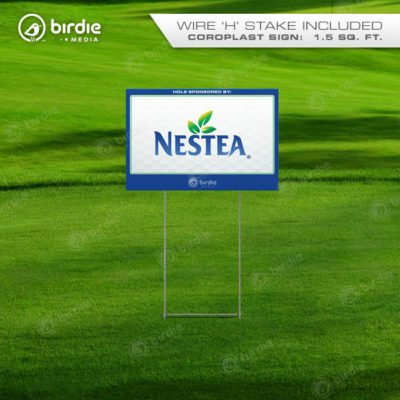 Printed full color and double-sided, these premium tee spikes are a great alternative to traditional coroplast tee signs. Jumbo Tee Spikes have a designated space along the top center for an additional sponsor, golf club brand or charity event logo. 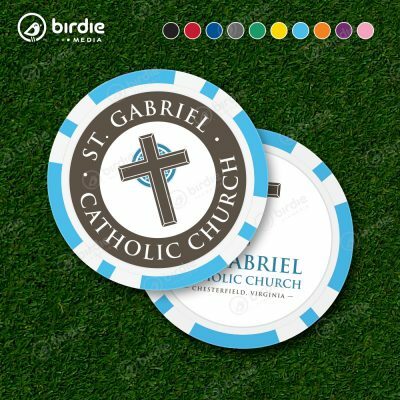 *Price is for a single sponsor/logo per 18 qty. 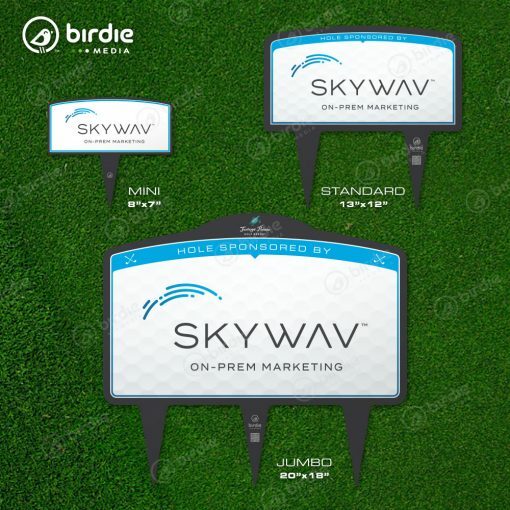 order and not varying sponsors/logos per sign.